Access to over 7 years of youth ministry resources so you can download and use anytime. You will never be without a resource for your ministry. A Youth Ministry Toolbox Membership is now $19.95 a month. 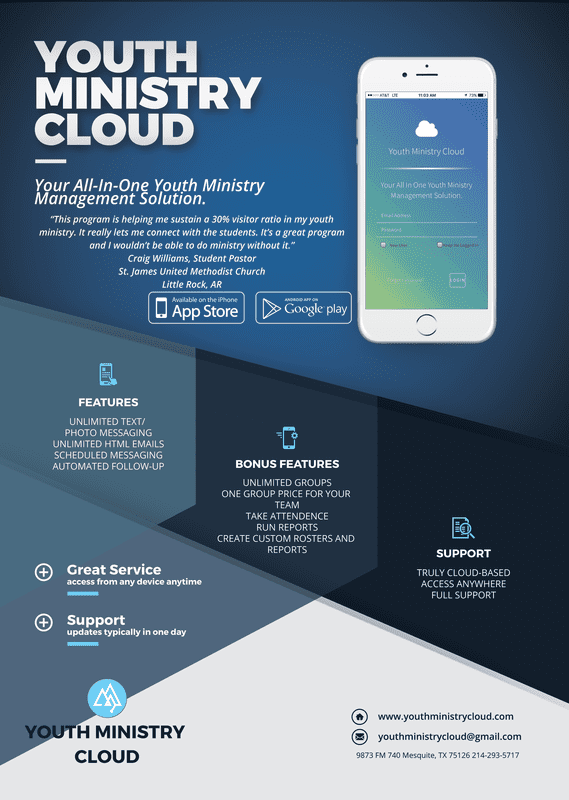 You’ll receive youth ministry cloud, the sermon series, stand alone sermons, PowerPoint games, small group studies, reading plans, download and use resources, and access to the resource vault. It’s an investment to your student ministry health and frankly, if you just use one of our resources a month you will have more time to do other things that matter most. Why in the world wouldn’t you join? I’m a student pastor just like you and I know what having 4 years of sermons, PowerPoint games, upfront games, turn key events, admin forms, small group studies and tons more will do for my ministry. Here’s how I see it…If a $9.95 investment each month can lead to more time with students and less time in my office looking on the computer then it’s a good investment. We buy more coffee and pizza for more than $19.95 a month. Your Youth Ministry Toolbox membership subscription is for ONE church. Please do not distribute these resources to any other church, organization, or individual. If you run a network, please contact us about network pricing. All materials are protected by federal copyright laws and cannot be distributed or reproduced without written consent. If you have any questions, please contact Jamie Starrett using the contact form.